JLA’s M.1 BlackxBlack HiFi sound system doubles as an end table. Every spring in Milan, tastemakers, trendsetters and other members of the turtleneck-and-interesting-eyeglasses set gather by the thousands for what is arguably the most important week of the year for interior design: the Salone del Mobile. The centrepiece of Milan Design Week, this furniture fair attracts the top creative minds from across the industry and around the globe. Here, they trot out their latest creations for critical assessment by their peers and the public. As in all aspects of design at the moment, from monochrome unisex clothing to tiny houses, minimalism is very much the word of the day. Just as in the worlds of fashion, architecture and retail, technology design is going the less is more route, with the benefit of gadgets doubling as stylish decor. At its booth, Danish audiophile brand Bang & Olufsen presented its most forward-minded creation yet, and its first foray into so-called "invisible tech" – the Beosound Shape. A modular set of wall-mounted hexagons comprising the speakers, amplifier and wireless hub, the system is equal parts decorative conversation piece and functional multiroom audio system. Beosound Shape speakers by Bang & Olufsen function as both a decorative piece and audio system. "The way we live with sound today has evolved from the time when we only talked about stereo and surround-sound systems, and it has become more diversified," says Petros Belimpasakis, the brand's director, head of sound category. While every home no longer has a stereo, we still want sound in every room, for a diverse array of uses, connected to all of our devices at once. The Beosound Shape aims to meet these needs and, with a range of colours and fabric coverings customizable in configurations of up to 44 speakers, doubles as a modish piece of wall art, too. "Despite its elevated status in our lives, technology is disappearing in our homes," Belimpasakis says. "It doesn't necessarily mean invisible or tiny, but that technology is designed to fit into the way we live, the way we decorate our homes and the way we interact within it." Technology-as-decor has come a long way since the record player credenzas of the sixties and cabinet TVs of the 1970s. To show us exactly how far, Samsung presented "The Frame" at Milan Design Week. The electronics giant's latest innovation doubles as a canvas for a rotating display of your favourite artwork. An auto-dimming ultrahigh-definition screen helps it blend in with its surroundings, while a built-in library of images and the Samsung Art Store provide access to hundreds of original works, including those by Canadian artists Holly Coulis, Chris Muir and Leanne Shapton. The Frame by Samsung is designed to blend into its surroundings. 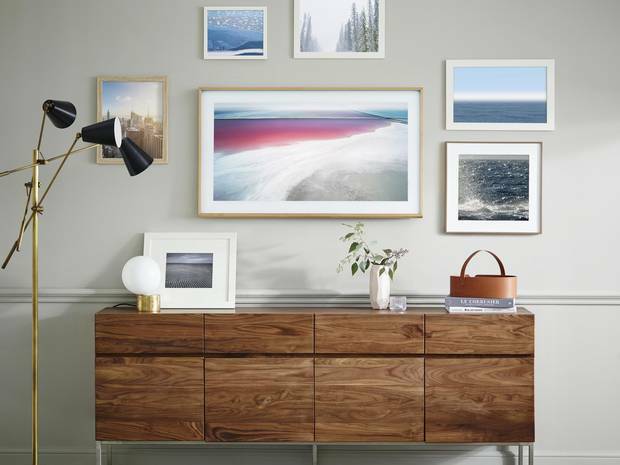 "The Frame is designed not only for consumers who appreciate design, art and photography, but those who appreciate an immersive viewing experience," says Pat Bugos, Samsung Canada's vice-president of sales and marketing. While it does come with a conventional pedestal stand, thanks to a no-gap wall mount that positions it flush against the wall, as well as a choice of bezel materials, The Frame is meant to erase that unsightly black rectangle from your living room for good. Big names aren't the only players in the invisible-tech game, either. Austin, Tex.-based startup JLA has developed and built a line of high-end wireless speakers intended to serve as end tables. The brainchild of brothers Juan and Pedro Jofre Lora, who are respectively an architect and an engineer, the M.1 speaker is designed to create space, not consume it. "Everybody seemed to be making small portable speakers that functioned as objects to put on shelves or on top of furniture," Juan says. "We thought they could just be the furniture and in that way disappear completely." They were also able to use high-quality drivers and components that wouldn't fit inside portable speakers. "The M.1 is a beautiful piece of furniture," Juan says of the tables, which are available in blackened Baltic birch with brass details or natural Baltic birch with aluminum details. "It just so happens that it's also your sound system." Meanwhile, a range of new products is moving beyond the living room. 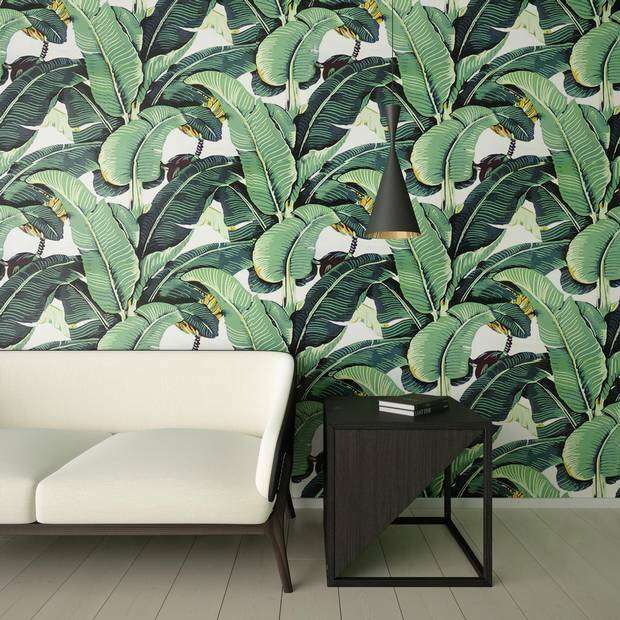 Castorama, a French chain that's a tantalizing hybrid of Home Depot and IKEA, launched an illustrated "interactive" wallpaper last spring designed to bring augmented reality to your kids' bedrooms. Using an app to bring the drawings to life on a smartphone or tablet, just point the camera at one of 10 characters to activate a different five-minute story, which is then either read by a narrator or displayed as text on screen. The irony of invisible tech is that by bringing more technology into our homes, it also allows us, to some degree, to escape it.